We Are Excited And In Pizza Love Heaven People! Anyway Let’s Just Tell You All About It. So The Guys At Domino’s Pizza Nigeria Is About To Sweep 50 Singles Off Their Feet This Valentine. No Kidding! 50 People With No Bae! Who Doesn’t Love A Beautiful And Cheesy Love Story? 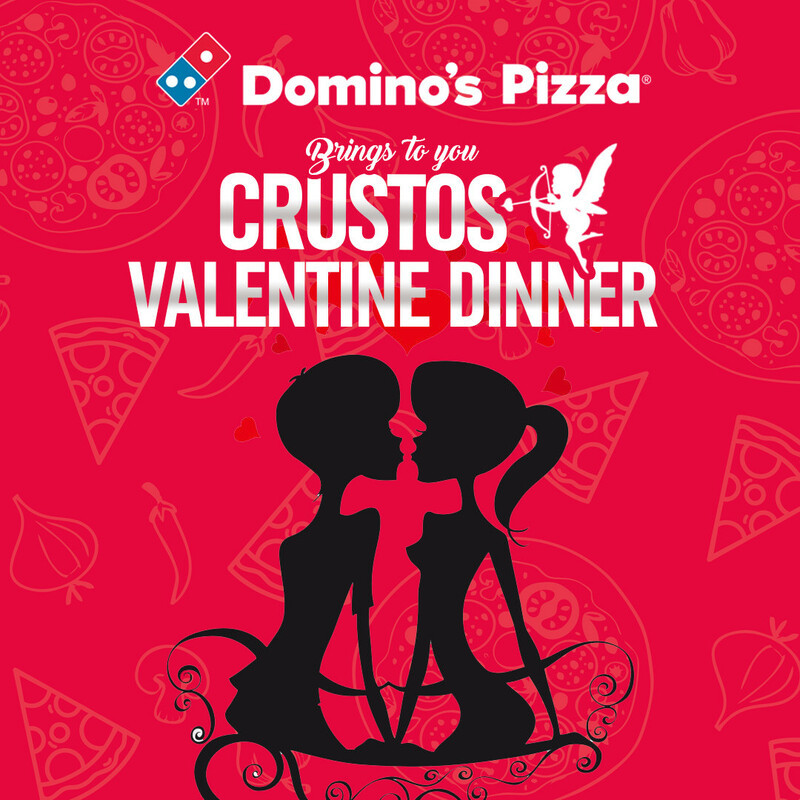 Definitely Not ‘Crustos’ Domino’s Eros Of Pizza, And God Of Love And Food. He Is Nigerian By The Way And Has Cleaned His Arrows To Shoot These Singles To A World Of Love And Beautiful Endings. Now ‘Crustos’ Is Actively Looking To Be Part Of Your Love Story This Valentine. With His Powers As The Nigerian God Of Love And Food, (you Know How Love And Food Are Best Friends), He Would Be Matching 50 Singles Who Enter The Domino’s Cupid, On The Journey To Finding Love. As In, 25 Couples Will Become Love Birds. Now Imagine You Savoring Hot, Cheesy And Delicious Pizza, Over An Amazing Candle Lit Dinner With A Platter Of Domino’s Goodness And Your Potential Bae? Nothing Sounds More Divine! Crustos Didn’t Come To Play, He Would Even Be Smiling Down At You. We Stan! Don’t Be A Lonely Single, Tell Crustos What You Want In A Partner And He Will Make It Happen. He Is The ‘god Of Love And Food’ Remember? Visit https://www.dominoscrustos.com/ And Tell Him Where You Are In Nigeria, Your Ethnicity, What You Want In An Ideal Date, How Old You Are, Things You Like To Do And Most Importantly, You Have To Be Single. Don’t Lie To Crustos, He Will Find You And You Also Don’t Want To Put Us In Trouble! He Also Needs To Know How You Like Your Pizza – Sweet, Spicy, Meaty, Veggie, Plain Or Complicated, However You Like It, He’s Got You. You Know What’s Even More Beautiful, This Love Filled Evening Will Be Happening Simultaneously On Wednesday 13th February, Across 5 Domino’s Pizza Outlet- Abuja; Gwarimpa And Lagos; Ikoyi, Okota, Oko Oba & Ogudu. Don’t Miss Your Chance At Finding Your Soulmate, Love And Companionship Over Some Cheesy Domino’s Pizza Goodness. We Love A Beautiful Love Story, Because Love Is Magical, Fulfilling And Uniquely Thrilling. We Can’t Wait For You To Tell Us All About It, All Thanks To Domino’s Pizza This Valentine! Matched Couples Will Be Announced On The 11th Of February 2019!